V8 supercar hot laps in Bathurst, Gold Coast, Perth, Melbourne and Darwin make a great gift and an adventure any revhead will never forget. Burning rubber and accelerating down the track in your selection of V8 supercars is the ultimate thrill. 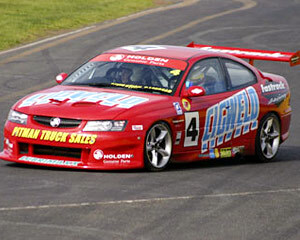 Learn the skills needed to control a V8 super car while doing hotlaps with professional drivers. V8 super car hot laps are exciting and the best way to blow out the cobwebs. So go on - choose your V8 supercar today and before you know it you'll be tearing down the straight and cruising through the bends while completing V8 supercar hotlaps like professional. For a limited time, all age groups -can enjoy the best of both Dreamworld & WhiteWater World with the $69 WORLD PASS with Unlimited Entry! Limited Sale Period - 15 June to 10 October 2010. Travel Period - Unlimited Entry valid 15 June 2010 to 24 December 2010. For a limited time, all age groups can enjoy the best of both Dreamworld & WhiteWater World with the $99 WORLD PASS providing Unlimited Entry for 12 months! Limited Sale Period through to 31 August 2010. Travel Period with Unlimited Entry valid through to 30 June 2011. 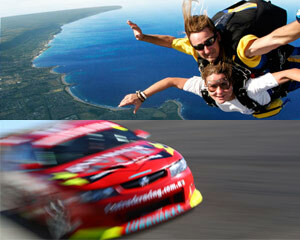 For the serious Adrenalin junkie, a Skydive over the Beach just isnt enough. 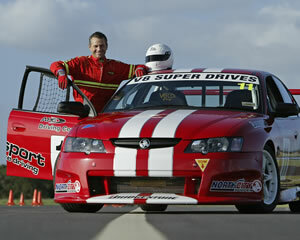 Add racing hot laps in a REAL V8 Race Car with a REAL Race Driver and youve got the ultimate Adrenalin day! 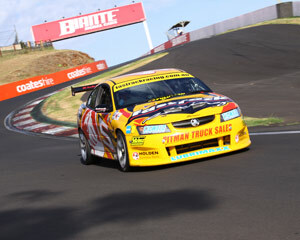 At last, V8 Hot Laps at Bathurst! These V8 Hot Laps around Bathurst are the perfect gift for any armchair Bathurst fan, and heading round the legendary circuit with a racing driver is the ultimate! So many worlds in one, Dreamworld is home to The Big 6 Thrill Rides, Wiggles World, Nickelodeon Central, The Australian Wildlife Experience, Tiger Island, V8 Supercars Redine, AVPX - the immersive combat zone pitting Alien vs Predator vs YOU and Australia's first and only Flow Rider. This experience brings together the best of the Toll Holden Racing Team and Bundy Red Racing for an exclusive V8 Supercar Hot Lap experience! This genuine V8 Supercar is built for speed so climb into the passenger seat and get driven around one of Australia's racetracks at speeds of up to 250km/h! Fancy seeing what life is like in a V8 Race Car? 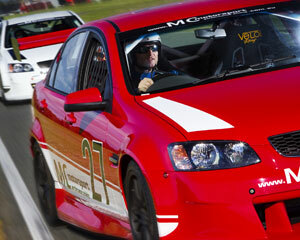 Hop in to one of our race-prepared V8 Holden Commodores for a V8 Super Ride to remember! Get your adrenalin pumping with four hot laps in a V8 race car at our driving centre on the Gold Coast. Hot laps are the perfect way to experience the thrill of a V8 race from the inside out. Hold on tight as you go for your first hot lap. But the fun doesn't end here - you're in for three more! 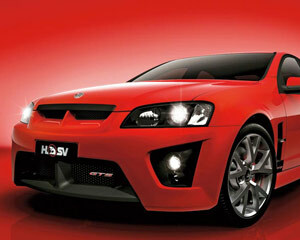 The HSV (Holden Special Vehicles) GTS is the fastest Australia-made production car ever. This is a production car which looks, handles and sounds like a V8 Supercar, and for good reason. Hang on tight because we are about to strap you into the latest turbo charged, 4 wheel drive, fire breathing monster from Mitsubishi - the EVO X. This is a fully race prepared Evo 10 and with the professional driver you will reach speeds of 200km/h. Fathers Day Special - free hot lap. 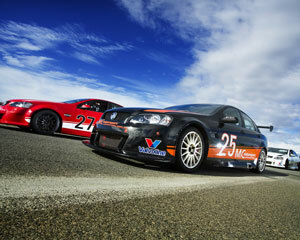 Live the V8 Race Car Driving Experience dream at Mallala, SA! Your race suit is on, you're behind the wheel, and your race instructor is at your side. Your adrenaline will go through the roof doing six laps around this world championship race track! 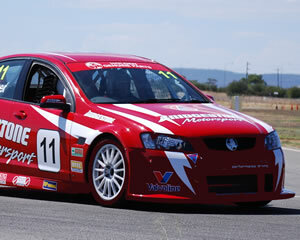 Ride in the front seat of a V8 Australia race car for awesome racing laps! A professional driver will drive you around like there's no tomorrow. Tear through corners, overtake people and speed down that straight! This isn't just any race car drive, this is full throttle - they live to thrill you! 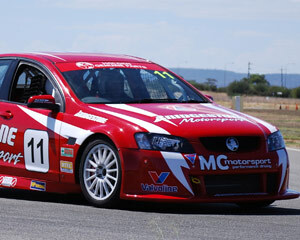 We provide the ultimate V8 race car driving experience, in one of our race prepared six-speed, V8 Holden Commodore race cars! Experience four exhilarating laps behind the wheel as you push the pedal to the metal and the car to the limit! Be driven for two laps in an awesome V8! This race-prepared, 6-speed vehicle will take you for two thrilling laps around a Perth circuit. This Perth experience is high speed action at its finest. Take two laps being driven by a professional who will take the car to its limits! This Australian V8 Day with John Bowe is the ultimate! Drive yourself for an amazing 7 laps under instruction from one of our fantastic drivers. Next, be spun around the track for 4 massive laps by the legend himself! Get an in-car DVD, catering and heaps of extras - ain't no better day out! A V8 Day doesn't get better than this! Take 3 hot laps with 3 x V8 Bathurst 1000 winner John Bowe, and drive yourself for 7 big ones! This experience includes 7 laps with an instructor, 3 laps being driven by the legend plus luncheon, framed photo, in-car DVD and more. Gentlemen, start your engines! Experience V8 Racing / Driving at its best, with the best, you and a professional race car driver behind the wheel of a Fastrack V8 Race Car. You Drive 5 LAPS then another 7 in a 2nd session at Phillip Island GP circuit. Be taken for 2 thrilling Hot Laps as a passenger with your pro race car driver. Experience V8 Racing / Driving at its best, with the best, you and a professional race car driver behind the wheel of a Fastrack V8 Race Car You Drive for 4 heart-racing laps on the world renowned Phillip Island GP circuit. Experience the exhilarating, heart pumping adrenalin rush of your life under the expert guidance of one of the states leading race drivers. Experience is an exhilarating V8 race car driving event where you actually get to DRIVE a V8 race car on a championship race track. Be part of Australia's premier race car driving experience and get your adrenalin pumping for 6 laps behind the wheel of a V8 race car! Feel the excitement and g-force of V8 performance racing with Australias premier V8 experience team for 6 laps at Baskerville Raceway. Be prepared to take it to the max with a no limit drive! Combine the awesome experience of driving a V8 race car with a thrilling ride of our "Chevy V8" powered jetboat ride and you have one adrenaline pumping package! Experience a Broadwater jetboating adventure like never before. 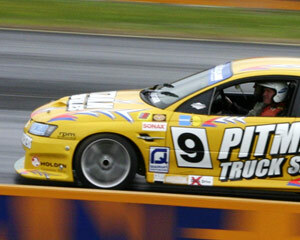 Experience driving a race prepared V8 race car for 6 laps around Symmons Pains International Raceway in Launceston. Not only will you get to drive a v8 race car you will also be tutored by professional race car drivers who will pass their knowledge on to you. Feel the excitement and g-force of V8 performance racing with Australias premier V8 experience team for 6 laps at Eastern Creek. Be prepared to take it to the max with a no limit drive! Experience an exhilarating driving event where you get to drive a V8 race car on a high-speed Clubman circuit configuration at QLD Raceway. For 5 amazing laps, you'll be coached through the course to improve your lap times and experience life as a V8 race driver in your choice of Holden or Ford! Experience an exhilarating driving event where you get to drive a V8 race car on a high-speed Clubman circuit configuration at QLD Raceway. For 8 amazing laps, you'll be coached through the course to improve your lap times and experience life as a V8 race driver in your choice of Holden or Ford! Feel the excitement and g-force of V8 performance racing with Australias premier V8 experience team for 5 laps at Calder Park. This legendary track is sure to get the blood pumping!